Nifty Futures made a descent recovery from the 9700 reference level. Nifty Futures on the Daily chart is trading below 50 day moving average 9960. However from the short term perspective indicator sentiment continues to be on the positive side with price action forming consecutive higher high for the last 4 consecutive trading sessions since the surgical strike day. Put writers are not active and aggressive at 9700 and 9800 levels. Volatility continues to be low Immediate support comes around 9902 levels. Profile sentiment continues to be positive. Price accepting above 9960 will possibly test Weekly Gap reference 10007 and 10049 in the very near term. PCR at 9700 and 9800 strikes comes around 4.18 and 2.44 respectively. 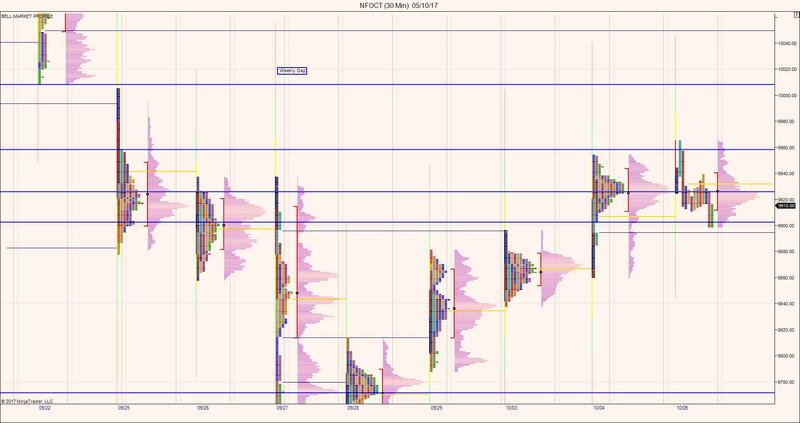 On thursdays trading session is controlled by sellers however price manage to hold above the 9902 – prev day rally higher reference level. Going forward 9902 holds the key for the trading sentiment to remain positive.